British Provinces of North America. 188-189. Canada, East. The World Atlas. Map Of Upper And Lower Canada. 1 : 2217600 Lea, I. 1 : 4700000 Buchon, J. A. C.; Carey, H. C.; Lea, I. (Vereinigte Staate)n v. Nordamerika II. Map of the Northern and Middle States. Nouvelle France ou le Canada. Canada, New Brusnwick, and Nova Scotia. 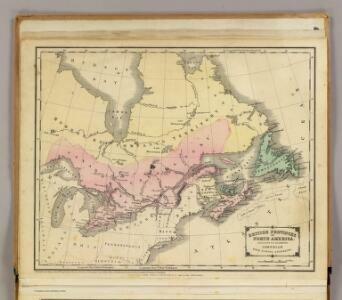 A new map of Upper & Lower Canada / from the latest authorities by John Cary, engraver. 1 : 9000000 Tanner, Henry S.